As we tackled before the new capital of Egypt and its location as it is considered as a new chance for a better life because of having luxurious districts and finishing. Also, it guarantees safety to your family and children. So, today Aqarat4u will tackle one of the cities that most of us do not think about it which is “Madinaty”. 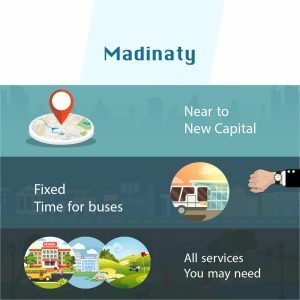 Let’s agree upon that Madinaty has all the needed services, transportation, and all what you need. 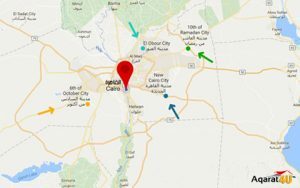 If we are talking about the location, Madinaty is 20 minutes from the new capital of Egypt, 10 minutes from the Regional Ring Road, and almost one kilo from the Middle Ring Road. Also, if we are talking about how far and near it is, it is on Al-Suez road and almost 7 kilos from Ismailia Road. So, the question is, why to live in Madinaty not Al-Rehab? 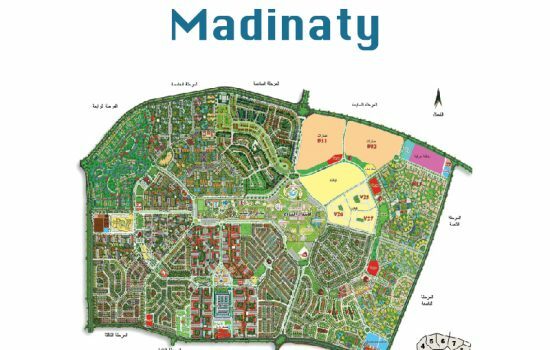 Let’s say that Madinaty is over 8000 acres which is four times of Al-Rehab. Also, you will find lots of green areas there. Besides, you will find golf playgrounds, entertainment places, and a central garden that you will not find in Al-Rehab. Also, the banks, the international schools, the mosques and a church. 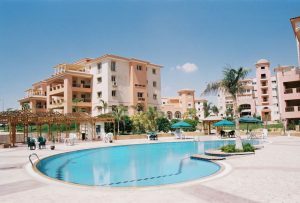 Moreover, there is the international medical center which is only 20 minutes, cafes, social clubs, sports club, Olympic swimming pool, and pharmacies like El-Ezaby, Roshdy and Foda. Besides, what is really unique about Madinaty is that it is divided into sectors. In other words, the west area is for villas and the east for buildings. Furthermore, it is near the fifth settlement from the south and Suez Road from the north. In addition, what really differentiates and features Madinaty is the “transportation” and the sharp fixed timing of the buses; even the internal or the external buses. For instance, there are three bus lines. The first one for Saraya El Koba, another one for Al-Rehab, and one for Nasr City. Of course, this will be very useful for the students and the workers as you will not need to use your car. Also, what is unique about the buses is that it has a fixed timing. For example, if the internal bus departs at 5:40 and arrives at 5:55, you will find it every day at the same timing. 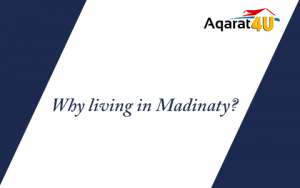 Follow Aqarat4u to know more about Madinaty, the services there, and anything related to the new capital of Egypt. What is the best compound to live in ?